The explosion-implosion of Samsung's premier Galaxy Note7 line may boost sales of Apple's iPhone, analysts said today, but the Cupertino, Calif. company is unlikely to publicly gloat over its rival's troubles or leverage them to push its own smartphone. "Of course Apple will benefit," said Bob O'Donnell, chief analyst at Technalysis Research. "But I don't think we should overestimate how much Apple will benefit." O'Donnell and others were reflecting on what Samsung's debacle means for competitors, specifically Apple. In the zero-sum game of smartphones, especially premium smartphones -- a category that Apple dominates but also one where Samsung aggressively competes -- one firm's misery may make another's fortune. 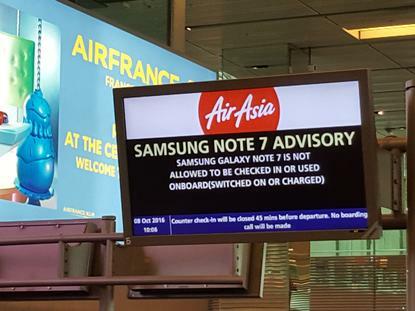 And Samsung is miserable: Just weeks after introducing the Galaxy Note7, the company first recalled, then halted production after reports of overheated batteries, and resulting melting or flaming handsets. With the Galaxy Note7 down and out, what alternative will those who had bought one -- and more importantly, those many more who would likely have done so -- turn to instead? Jan Dawson, chief analyst at Jackdaw Research, also saw the iPhone as on the list of Note7 beneficiaries -- but not at the top. In commentary posted at Tech.pinions yesterday (subscription required) Dawson put a switch-to-iPhone option (and another, to a different Android-based brand) as "least likely." Rather, customers who had, or would have, owned a Note7 will simply wait to upgrade, perhaps to the future's inevitable Note7 substitute, or pick another Samsung device now offered. "This isn't about Android, but about Samsung," said Dawson in an interview, explaining why the move to an iPhone -- and its iOS ecosystem -- would be unlikely in his opinion. If consumers decided they couldn't abide any Samsung device because of the Note7's immolation, most would presumably stick with the Android ecosystem rather than hassle with an OS change. "Android is what they're familiar with," Dawson added. Apple would like its iPhone 7 Plus -- a slightly-smaller smartphone than the Note7 -- to be in the mix for Samsung deserters. iPhone sales have dropped year-over-year for the past six months, and Wall Street will be closely watching the numbers for the second half of this year to see if the iPhone 7 and 7 Plus pull the line back into growth. Cupertino, then, would have reason to pounce on the opportunity. But the company won't, not publicly, not overtly, O'Donnell and Dawson agreed. "It doesn't seem like Apple's style to do that," said O'Donnell. "I can't see it," Dawson concurred. "I don't think Apple would stoop to Samsung's level [in its advertising]," he continued, implying the kinds of television spots Samsung once aired that took shots at, among other things, the perception that only older people bought iPhones. "Remember, Apple has never taken on an OEM directly, but only ecosystems. It's made digs at Android in general, but it's never said a word about Samsung. It's always the ecosystem." In the same way, Apple's anti-PC campaign of the past steered clear of naming brands, such as Hewlett-Packard or Dell, but instead took aim at Windows. There were other, just-as-good, reasons not to kick Samsung when it's down, Dawson said. "There's an element of 'There but for the grace of God go I," Dawson said. "There have been Apple products that have caught fire," O'Donnell noted. "This could happen to anyone."